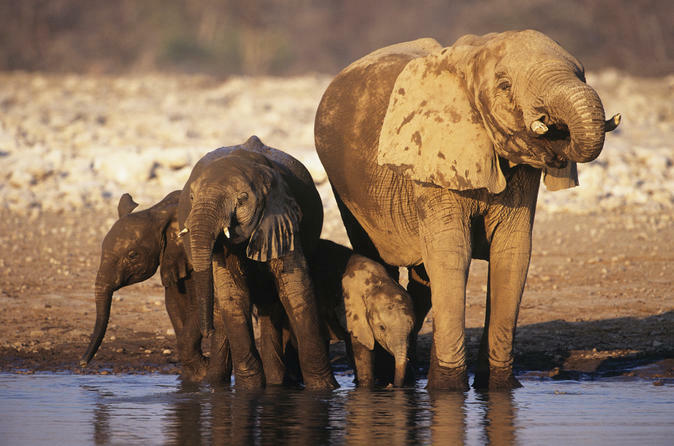 Explore Etosha National Park, Namibia’s premier game-viewing park, on a 4-day safari from Windhoek or Swakopmund. In the comfort of an air-conditioned vehicle, drive along the waterholes of a massive salt pan and across the great African savannas to see lions, leopards, elephants, antelope, giraffes and birdlife in their natural habitat. Learn from a knowledgeable guide about the management of this land that is home to an abundance of mammals and reptiles and nearly 400 species of birds. Your tour includes three nights of accommodation located near the park. Ideal for couples, honeymooners or just spoiling your loved one. Travel in the most luxurious lifestyle in a private car and live in some of the best accommodations Namibia has to offer. Experience a bit of the local wild cuisine as well enjoying cloudless moonlit evenings. Meals range from local speciality restaurants (Portuguese, Chinese, Italian, Indian and Japanese) to "fresh and wild" healthy food. Etosha Pan is situated in Etosha National Park and with the largest salt pan in Africa, were you will embark a game drive for 3 hours. You won’t just explore the pans but different kinds of animals like lion, leopard, elephant, rhino, giraffe, wildebeest, cheetah, hyena, mountain and plains zebra, steenbok, kudu, gemsbok, eland jackal, bat-eared fox, warthog, honey badger, ground squirrel and many more. 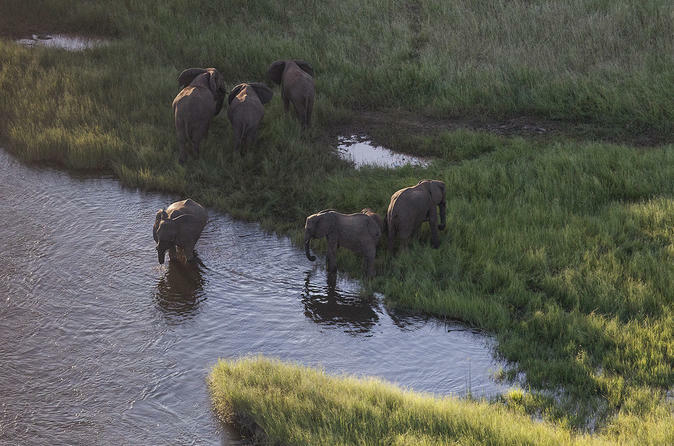 The Park is home to 114 species one can go for a morning, afternoon or night game drive. 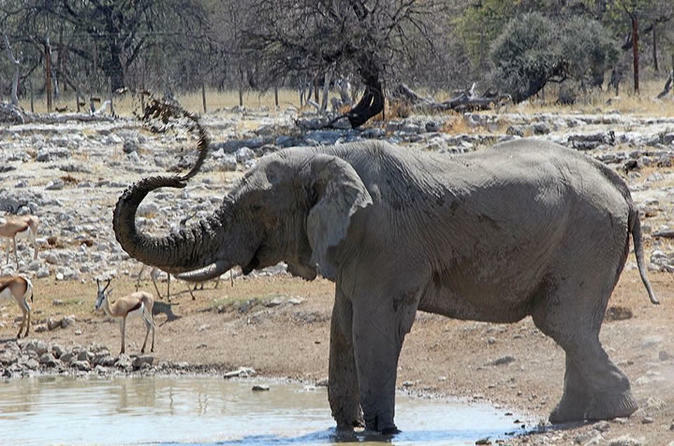 This African Wildlife Safari includes visiting one of Africa's premier game reserves, Etosha National Park. Including game drives, the chance to meet some local Namibian tribes, while staying in the comfort of accommodation with en-suite bathroom. This is a small-group tour caters for wildlife & nature lovers, and eco-friendly explorers. 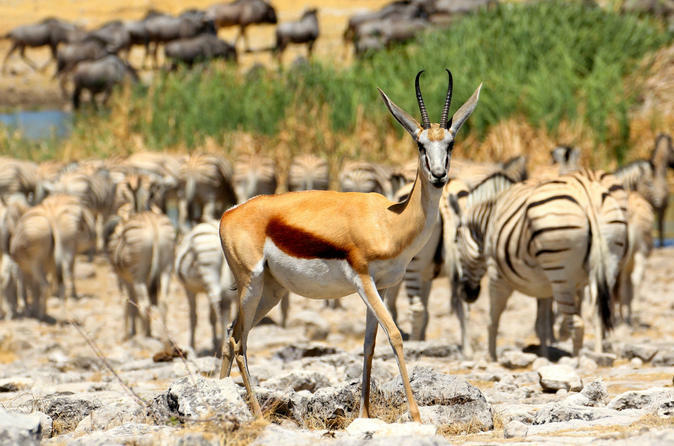 Explore Etosha National Park and search for species such as rhino, lion, cheetah, leopard, elephant, giraffe and numerous species of antelope as well as an impressive 340 species of birds. 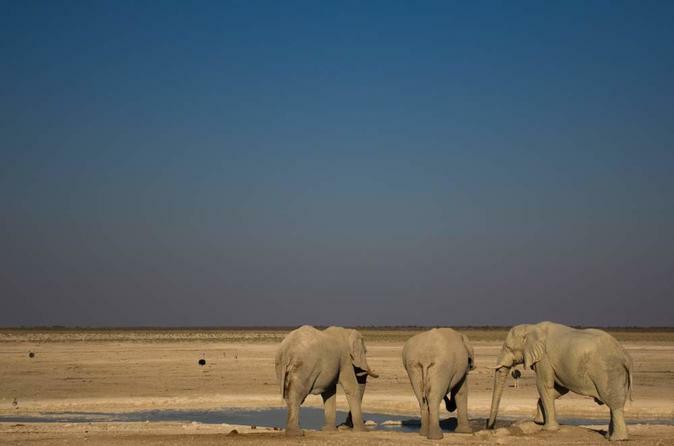 Short tour of Etosha National Park.Budget tour is for the saving conscientious and perfect for groups. Accommodation is in tents. Meals are from local pizzerias, excellent local hamburgers (natural grazing animals) and takeaways (takeouts). Day 1 and Day 5 in Windhoek is same accommodation establishment. Experience the desert wonders of Sossusvlei in Namib-Naukluft National Park on this 2-night tour from Windhoek or Swakopmund. Marvel at the majestic red dunes, among the highest in the world, and see the plant and wildlife that survive in the harsh terrain. Climb star-shaped dunes like Dune 45 and 'Big Daddy,' visit the eerie beauty of Deadvlei, a landscape of blackened trees in a white clay pan, admire Sesriem Canyon and travel through scenic mountain passes. 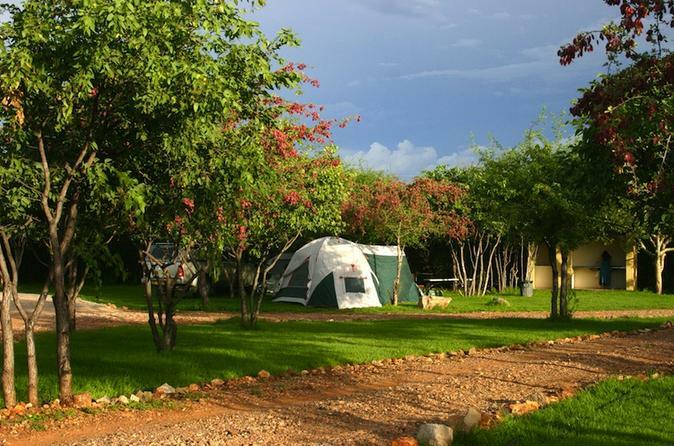 This exciting 2-night tour includes safari-camp accommodation located near the park. 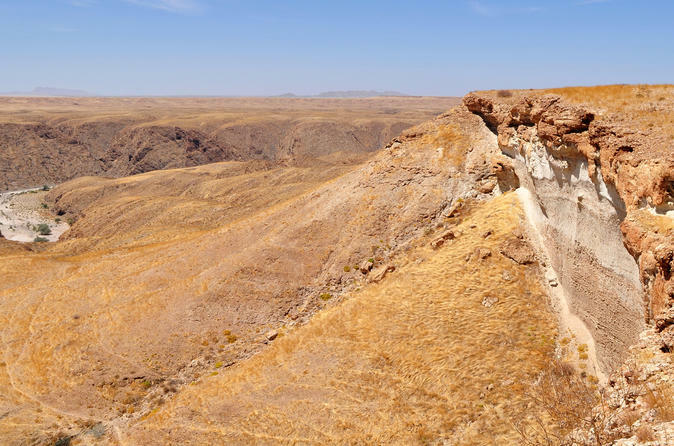 This budget Namibian safari is a good option for adventure and nature lovers who have limited travel time and wish to explore the Namib Desert. A short small-group tour that caters for adventurers and those who enjoy the adrenalin rush of the coastal area activities from sand-boarding to quad biking and skydiving amongst others. The magnificent sand dunes of the Sossusvlei offer wonderful views of the incredible Namibian landscape and on this tour you will have the chance to climb and explore this ancient area. Take a relaxing 7-day tour, exploring Namibia with optional accommodation, spending two nights in each location You will traverse the desert in the comfort of an air-conditioned vehicle all while learning about the highlights of Namibia with the guidance of a local expert tour guide. Marvellous family tour, unequaled unforgettable experience, once in a life time wild life tour for the family. Accommodation is in 4 star establishments. Meals are provided at these accommodations' restaurants and included in the price. Meals can also be taken at other restaurants as per your price group. Discover the wild and diverse beauty of southern Namibia on this 7-day, small-group tour from Windhoek. 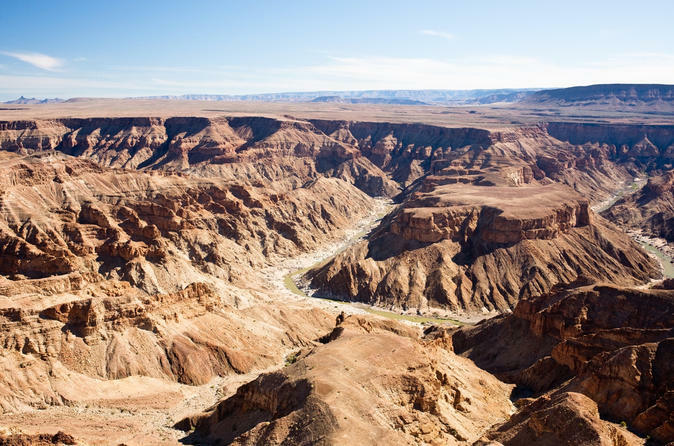 Experience the savannas of the Kalahari Desert, and walk the rim of Fish River Canyon, the world’s second largest canyon. 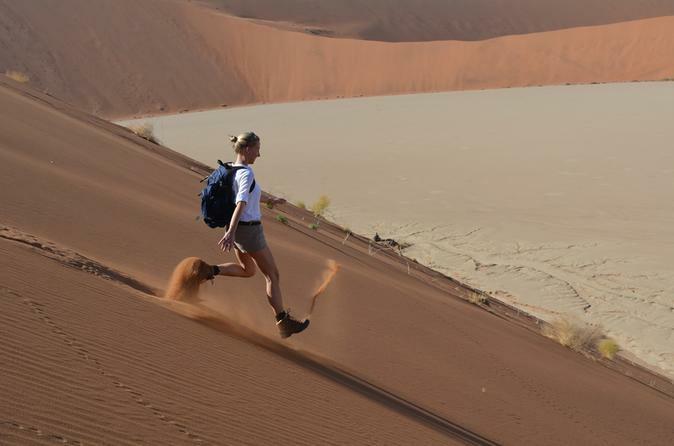 Marvel at the famous Sossusvlei dunes and make your way through a ravine at Sesriem Canyon. 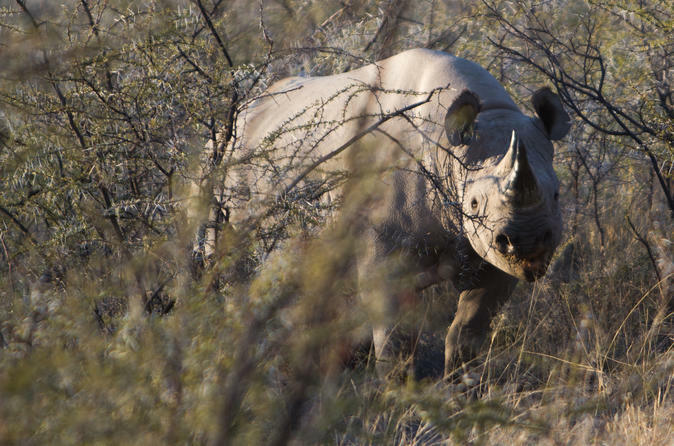 Learn about Quiver Tree Forest and the wildlife that roam the Namib Desert plains. Finish your odyssey with strolls through the seaside towns of Walvis Bay and Swakopmund. Numbers limited to 10 people, ensuring a small-group experience.